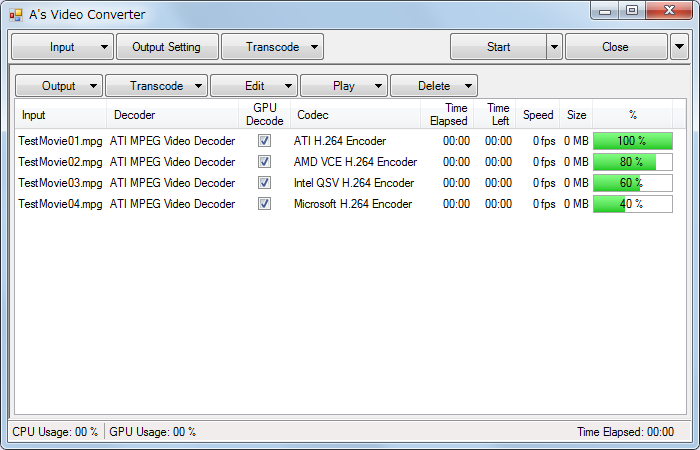 A's Video Converter is a video converter designed to utilize GPU encoding and decoding, supporting AMD, Intel and Microsoft technologies. 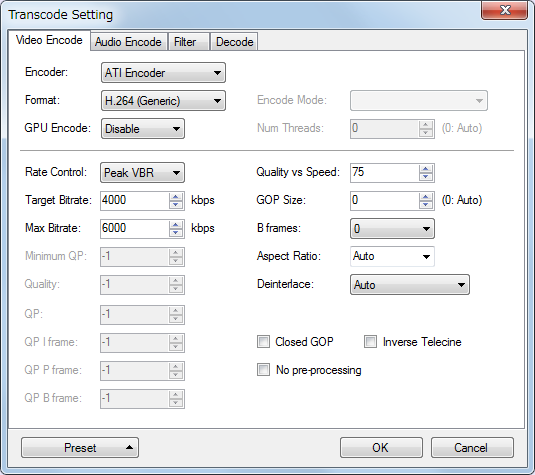 A's Video Converter's GPU assisted decoding supports DXVA, AMD UVD and Intel Hardware (Sandy Bridge/Ivy Bridge), while its GPU assisted encoding supports AMD APP, AMD Video Codec Engine (VCE) and Intel Quick Sync Video (QSV). GPU filter support accommodates DXVA and Intel Hardware. 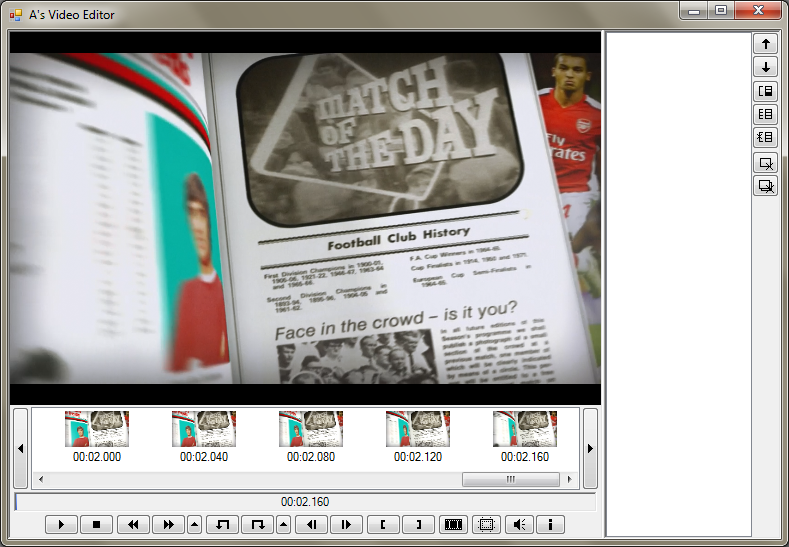 In addition, A's Video Converter also includes a simple movie editor, as well as the ability to batch convert and convert up to 8 files at the same time.